This Jayda denim jacket from Samsoe & Samsoe. Features embroidered with a flower artwork giving it a fresh and feminine twist. Button front and pockets and side pockets. 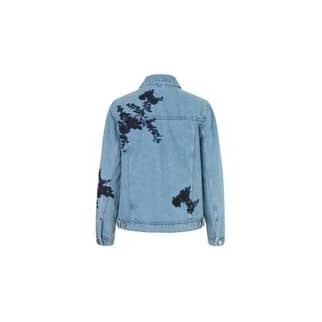 Cut from 100% cotton with a pale blue rinse which enhances the embroidery on this jean jacket.